I connected with author Lisa Harris on social media as I was making my way through the first two of her Southern Crimes novels – “Dangerous Passage” and “Fatal Exchange.” I was anticipating the release of the third in the series – “Hidden Agenda” – so I was excited when my monthly email from Revell included it in the books I could review. 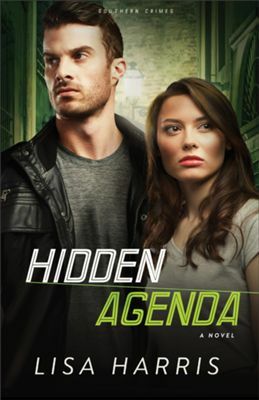 Like any good fiction book, I read “Hidden Agenda” quicker than I really wanted to. I was wrapped up in the story, yet I didn’t really want the book to end. Lisa Harris has created characters I adore and circumstances that keep the story moving while including truth about people and God. I liked how “Hidden Agenda” picked up where “Fatal Exchange” left off and continued building on a story that already existed. ABOUT THE BOOK :: His cover is blown. Now his enemies are on his heels and closing in. Presumed dead by friends and family, Michael Hunt is alive – and on the run. Presumed dead by friends and family, the undercover assignment he's been working for the past eight months has just been blown. With a hit out on his life and corruption inside the Atlanta police department, Michael finds himself hunted by both the cartel and the law. His only hope is Olivia Hamilton – the daughter of the man who wants him dead. 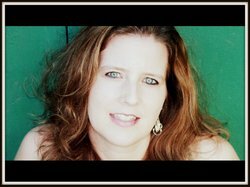 ABOUT THE AUTHOR :: Lisa Harris is the award-winning author of more than 20 books and is winner of the Best Inspirational Suspense Novel for 2011 from Romantic Times. She has spent more than ten years living with her family as missionaries in Mozambique, where she leads a women’s group and runs a nonprofit organization that works alongside their church-planting ministry. Visit www.lisaharriswrites.com for more information. You can also keep up with her on Twitter and Facebook. In connecting with Lisa on Twitter, I asked if she’d be interested in sharing on my blog. We decided to do a Q&A session to coincide with her new release. Y’all are going to love her – if you don’t already. And stay tuned because she’s not stopping with this series of books. Kristin Hill Taylor :: I love the Hunt family! They are the kind of people who seem so welcoming and real. Tell me about how you came to create these characters and what they mean to you. Lisa Harris :: I was meeting with some other writer friends a couple years ago, and I told them I wanted to so a series about a family of law enforcement officers. They really helped me brainstorm the Hunt family and storylines (and we had a blast in the process!). As I wrote each sibling’s story, though, I really came to love the family story line. I know there are a lot of dysfunctional families out there, and while the Hunt family isn’t perfect, I wanted them to love each other and be there for each other no matter what. On a side note, it’s crazy how real they can become — at least to me. :-) I was flying through Atlanta just before book one came out and I was convinced I was going to see Avery or one of the Hunt family in the airport! KHT :: Where do you get your ideas for the circumstances in the Southern Crimes series? What have you learned about the world and faith developing these stories? LH :: I wrote a book (“Blood Ransom”) before this series on human trafficking in Africa. At the time, I had no idea this was an issue in the U.S. and was actually shocked while doing my research that human trafficking is a huge issue in the US. After that, I decided I wanted to write a book on human trafficking in the U.S. (“Dangerous Passage”). The other two stories in the series flowed out of this first book. One of the things I love about this genre is being able to show the realities of the world, but also the fact that there are good people out there and an even greater God! KHT :: You’re a writer, wife, homeschooling mom, and missionary who also runs a non-profit organization. How do you balance writing with the rest of life? What does a normal day in your life look like? LH :: Life is busy and I’m not sure there is a normal day. :-) For the first time in almost seven years, I’m not homeschooling as all of my kids are attending a missionary boarding school. This has been a big adjustment for me, of course, but one we feel is right for our family at this time. Now, I have certain days I go out to the village and certain days for writing. I also ensure medicines, baby formula, food baskets — and whatever our current needs are for the non-profit — are delivered to those we are helping, as well as try to keep up on social media what God is doing. One of the main reasons I’m writing is so I can visit my kids during their mid-term breaks three times a year (They also come home three times a year. ), so I’m so thankful for a job that allows me to do this! And a job I can do anywhere in the world. KHT :: Tell me about The ECHO Project. What are the ways this passion and your love for writing stories are intertwined? LH :: After we’d been here a couple years, we realized we needed help to meet all the physical needs we saw every day. My husband asked me to start a non-profit where we could raise money that would go 100% to meet people’s needs. Thanks to people’s donations, we’ve been able to build houses for the homeless, pay for medical bills (mainly transport and lodging), help start businesses, give monthly food baskets to families carrying for orphans, formula for babies whose mother can feed them, eye glasses, and much more. I’ve loved the chance to write several books that deal with humanitarian issues, and am actually working with Love Inspired Suspense (from Harlequin) on ideas for a humanitarian/romantic suspense series. The bottom line is, I want to encourage people to make a difference wherever they are, one individual at a time! KHT :: Have your kids read any of your books? What do you they think about them? LH :: Yes, both of my boys have read a couple of my books for school, and as far as I know they enjoyed them! Pretty cool! KHT :: What do you want your readers to take away from the Southern Crimes series, specifically “Hidden Agenda”? LH :: I want my readers to realize that God wants us to rely completely on Him. And to be completely in Him. Psalm 55:22 tells us that we need to give our burdens to Him. To cast all of our anxieties on him because he really does care for us. Is this always easy? No way. But it’s like Michael said at the end of the book. “I’m struck with the profound truth that God is good. He never promised us that life would be easy, but He has promised to walk with us.” My prayer for my readers is that they seek His face and let Him walk this journey of faith alongside them! KHT :: What writing project are you working on now? To what else can we be looking forward? LH :: I just turned in a book to my editor that will kick off my next series with Revell, and I’ve just finished outlining book two. While I can’t say much yet, it’s another fast-paced romantic suspense series that deals with a missing person task force and a heroine (and romance) that I can’t wait to reveal! The first book will release in October! I received a free electronic copy of this book from Revell Books in exchange for a review, but it was already on my Amazon wish list. Want more stories? "Peace in the Process: How Adoption Built My Faith & My Family" is available on Amazon. Like me on Facebook, follow me on Twitter, peek into my life on Instagram, follow 152 Insights at Bloglovin', or subscribe to receive "Insights in Your Inbox." I love having you here, Lisa! Thanks for encouraging others with stories. I don't think I've read any of Lisa's books, so I'm excited to read your review. The family premise sounds a bit like the O'Malleys (Dee Henderson) and the McKennas (Dani Pettrey), so I'm putting this series on my to-read list now!